A wonderful way to display your plants, keep unwanted fingers and paws out of your plants AND keep them nice and humid! Carnivorous plants need high humidity, and air conditioning and heating systems pull the moisture out of the air to make it more comfortable for people...not a good thing for the plants. Your plants will love you for giving them the humidity they need! 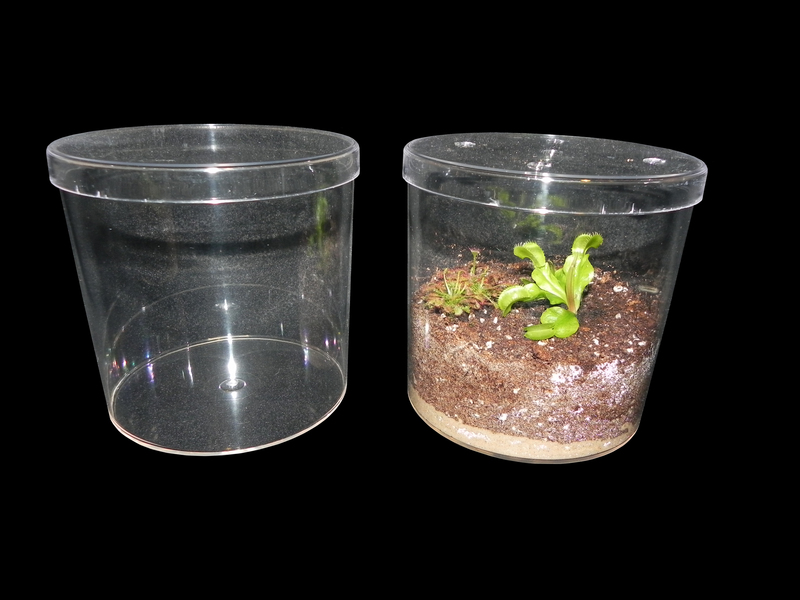 These little terrariums are perfect for Venus Flytraps, sundews and butterworts. These are 5 1/8" round and 5 1/8 inches tall, with holes in the lid for air circulation. What a great gift idea when you combine this with a plant or two and a quart bag of our Standard Carnivorous Plant Soil!